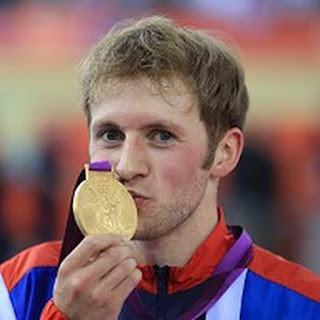 The pressure was on Jason Kenny in the Sprint on the track today, having been selected ahead of HRH Chris Hoy, but he delivered a slightly surprising victory over French man mountain Grégory Baugé. I say surprising, which it was pre-Olympics, but having seen the way Kenny was going here, you just knew he was going to pull it off. Laura Trott starts her assault on the two day six event Omnium and makes the Elimination Race look so easy, she could probably read a book at the same time. There’s also Gold for our Showjumping team via a jump-off. In more mundane matters, it’s the last dog training session before the summer break and L is running in Ockbrook. I shall attempt to run tomorrow.